Lowland calcareous grassland is a rare and threatened UK habitat and Torbay supports one of the most extensive stands of calcareous grassland in Devon. 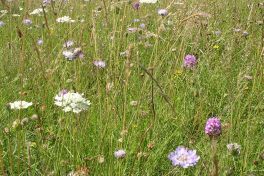 Torbay's calcareous grassland has been described by English Nature as "of tremendous importance for its large number of nationally rare and scarce flowering plants. flower-rich meadows and permanent pasture including in-field trees. Torbay's woodlands in the past have been managed in a low-key way with public safety the main priority. 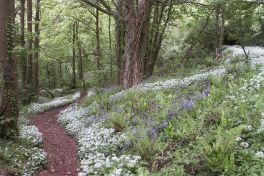 Nature conservation-directed work has been sporadic and this, along with the storm of 1990, has contributed to the long-term decline of many of Torbay's woodland sites. 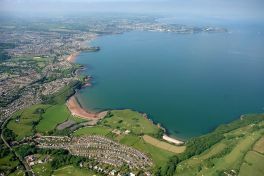 The marine wildlife of Torbay has been described as the jewel in South Devon's crown. 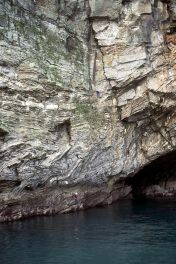 Its sheltered limestone and sandstone shores are rich in animals, whilst below the low water mark the Bay is outstanding. This habitat action plan focuses on seagrass beds, marine caves and sublittoral and littoral rock and sediment habitats. 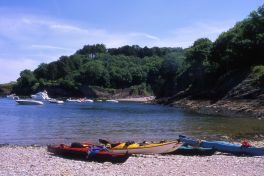 In Torbay there are approximately 22 miles of coastline which include cliffs, slopes, ledges, rocky/sandy/shingle beaches and caves. Torbay's calcareous soils and generally mild climate have led to floristically rich maritime cliff grassland communities with notable rare species. 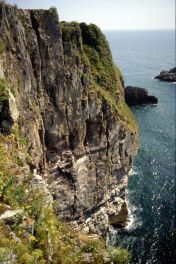 Torbay is famous for its geology. 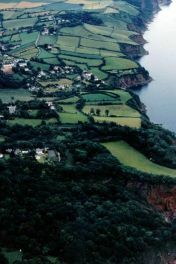 The inclusion of this Earth Heritagesection within the Nature of Torbay recognises the wealth of geodiversity underpinning the biodiversity of the Bay and the requirement to manage it sensitively. This action plans focuses on Caves, Karsts and Mines, Quarries and Cuttings, Coastal Exposures and Geomorphological Features. 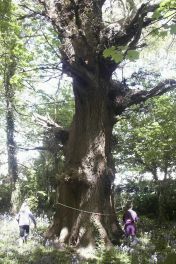 Parkland and veteran trees are not only valuable resources of biodiversity, but are also of great historical significance, and this double interest affords these environments a special place in Devon's natural and cultural heritage (The Nature of Devon: A Biodiversity Action Plan, 1998; revised 2005). Urban biodiversity has been given priority status because of increasing pressures from development, recreation and inappropriate management. Urban wildlife also offers a high potential for public involvement and it is where Torbay's local population will enjoy Torbay's biodiversity the most. This action plan encompasses all managed greenspace (domestic gardens, golf courses, playing fields, public parks, churchyards, school grounds and tourist facilities e.g. caravan parks, zoos and allotments), buildings, industrial estates and derelict land, retail parks, railway embankments and roadside verges.